Dave Dowland | Clerk to the AUA Board of Trustees from 2015 to 2018, Academic Registrar of Solent University and Registrar at Trinity Laban Conservatoire of Music and Dance. Please note that this article will be published in Issue 92 of Newslink, and we are delighted to offer to you here in advance of publication of the magazine in Spring 2019. 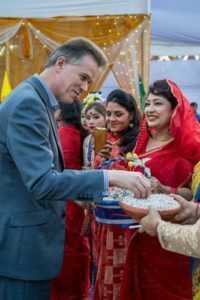 Dave is in the midst of a three year term as Registrar of the Asian University for Women in Bangladesh. AUW is a recently founded international university that offers talented women education and opportunities to enter leadership roles. 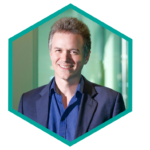 Here he speaks of his experience in the first of a series of Blogs. Bangladesh is a country of festivals and our students celebrate their way through the year, enjoying the diversity. The Christmas festival made me nostalgic for celebrations in the UK but it has been very easy to settle here. Behind the headlines, this is a largely tolerant, pragmatic country where Moslem, Hindu, Buddhist, Christian and ancient local religious beliefs mix. 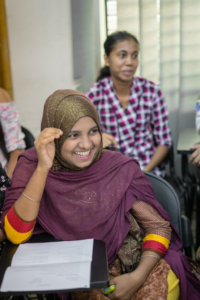 Bangladesh has been a good home for a truly global institution like AUW, which brings students together across cultural, religious and ethnic lines. 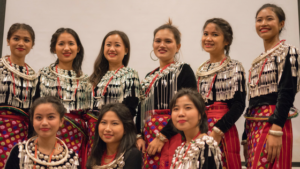 We’re still a very young institution and 2018 saw the tenth anniversary of the creation of AUW with the encouragement of the United Nations and the World Bank as a centre for talented women and future leaders across Asia and the Middle East. Had a first visit to a vast garment factory recently – one of the main industries– they employ millions. We now have formal links to 14 garment factories which send students for education and an opportunity for the transformation of their lives. There are one or two novel issues for a recent arrival from the UK. The other day the cobras and pythons in the new campus site got out of hand and moved into the project office and the maintenance team had to sort it out (good blokes). The snakes normally stick to the implicit deal that they stay away from us in the adjacent jungle if we stay away from them – another example of peaceful co-existence in Bangladesh! Actually the new campus site is amazingly beautiful – a generous gift of over 140 acres from the Government of Bangladesh. We’re bursting out of our temporary campus as student numbers increase and we need the space to create an institution for the long term. But there is a kind of intensity to the residential life in our current site that perhaps brings people together – you can’t hide from cross-cultural exchange. It is striking to experience the impetus to build Bangladesh and the country is starting to become notably more prosperous in part, but global warming is a serious challenge here in a low lying country. The country is in a pivotal geographical position with wider links across a region covering 1/3 of the world’s population and our students come from all over. I wish policy makers in the UK could hear colleagues in the region as they think about the multi-dimensional value of higher education to social, spiritual and economic development – education as transformation. I have just returned from a visit to Yunnan University, Kumning. China has an extraordinarily focused strategy, based on a 50 year view that the Chinese leadership is taking through its One Belt One Road’ initiative, launched in 2013. This involves massive investment, loans and infrastructural construction by China across Eurasia and beyond which has the effect of creating an enormous regional network of states that are financially and symbolically indebted to China. ‘Leap frogging from the knowledge economy to the creative economy.’ – That was the thought as the Asian institutions launched a new alliance – the South and South-East Asian University Network at Yunnan University, Kunming, China. It was touching to take part with colleagues planting trees as we look forward to our future and a new year! And happy New Year to AUA colleagues – you are always welcome here!